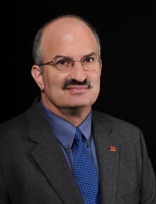 Larry Goldman, CCIM is an investment properties specialist with RE/MAX Best Associates – Commercial Division and specializes in the brokerage of Real Estate Investment Properties, throughout Kansas, Arkansas and Missouri. Larry takes pride in providing value-added service that is driven by long-term relationships. In 2001, Larry was awarded salesperson of the year by Prudential CRES Commercial Real Estate. Larry has been an active commercial real estate agent for over 30 years and a CCIM since 1991. Larry is currently President of the Kansas Self Storage Owners Association and serves on the board of the Westport Regional Business League, in Kansas City, Missouri. Larry has served as President of the Kansas City Chapter of CCIM as well Regional Vice President of the CCIM Institute.